Student Adventures: Mars not "dead" afterall? If new results from the now-defunct Mars Phoenix mission are any indication, the red planet is not dead yet. 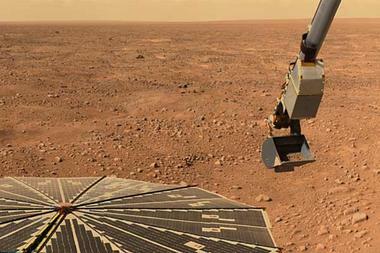 Data from the Mars Phoenix lander indicate that water has been weathering the planet's surface throughout its history, even into recent geological times. The data also suggest that geologically recent volcanic eruptions have replenished the planet's carbon-dioxide atmosphere in what could be an ongoing activity. The evidence comes in the form of intricate measurements the lander took of the planet's atmosphere--specifically, the relative abundance of different forms of carbon and oxygen in atmospheric CO2.